We make it so easy to create beautiful and mobile optimized online surveys. Your participants will love it and reward you with high response rates. 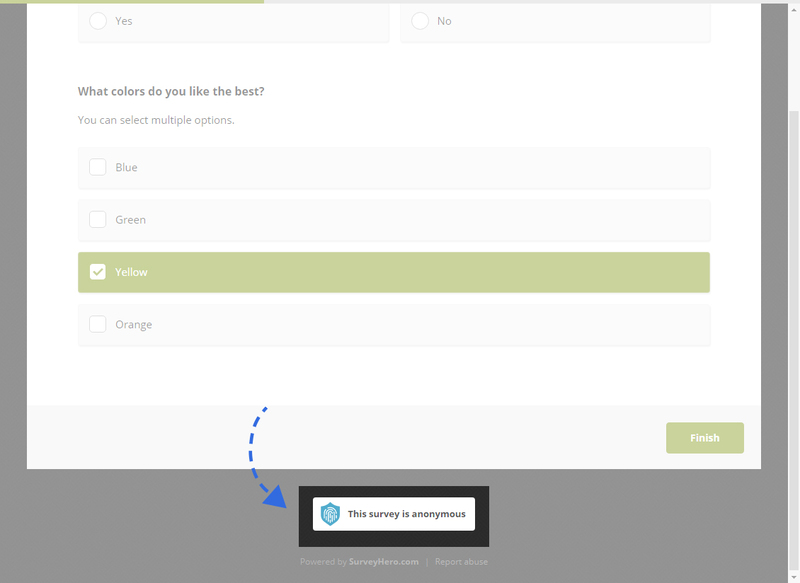 We are happy to announce that we have just released the official SurveyHero WordPress plugin, making it easy for you to embed your online surveys into your WordPress website or blog. WordPress is the most popular CMS choice for websites today and we are happy to offer you such an easy way to share your surveys with it. One of the most common ways for you to share your survey is to use a survey link. You can use this link to share your survey in an email, on social media, etc. However, sometimes you may want to share your survey on printed media such as a poster or flyer. 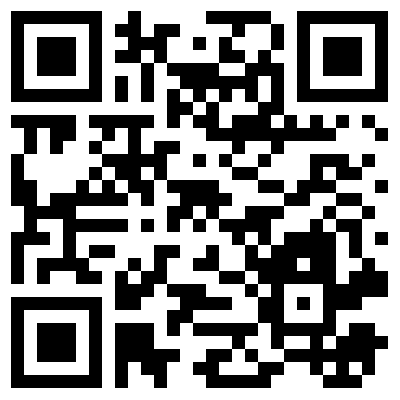 This is where QR codes come in handy. 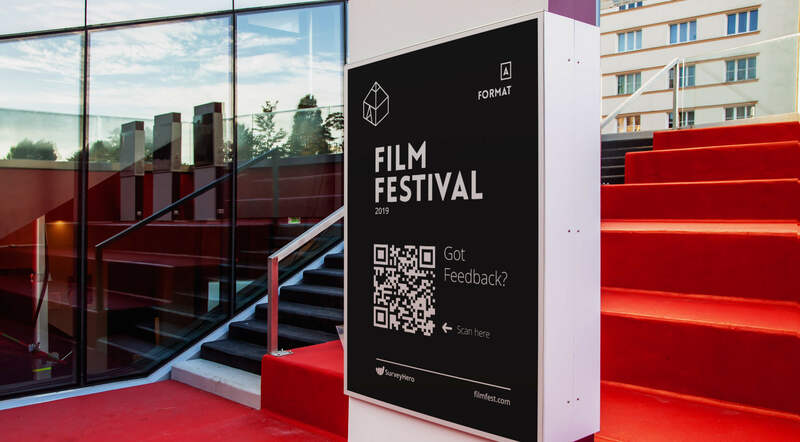 QR codes are perfect for print media as they allow potential participants to get to your survey directly by quickly scanning the code, rather than having to read and manually input a long survey URL. Try it out, scan the code above with a QR scanner on your smartphone and you will be redirected to the corresponding survey. We are happy to announce that we have another question type for you. The “Ranking” question allows your participants to order a list of choices by priority, opinion, etc., using drag and drop. When a participant drops a choice into the right-side container, it will automatically be “ranked” by number. In your survey results, you will find detailed information about the ranking. The question’s items will be ordered by overall rank as well as show their distribution (how many times first, second, etc.). We are happy to include this question type in the tool for you and hope you find it to be a useful addition to your online survey. We are happy to announce that there is a new question type available for you to use in your online survey. 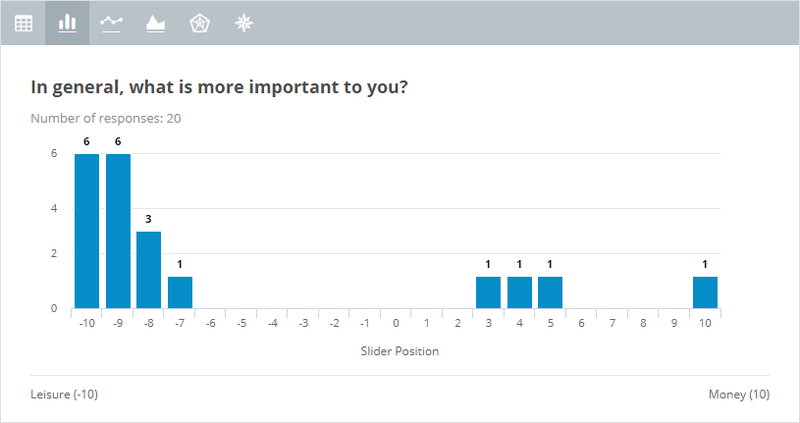 The “Slider” question allows your participants to select a position between two poles (e.g. “Poor” vs “Great”) by simply moving the slider on a scale from whatever numeric range you define (e.g. -10 to 10, one step at a time). The slider is fully responsive and works also great on mobile devices. 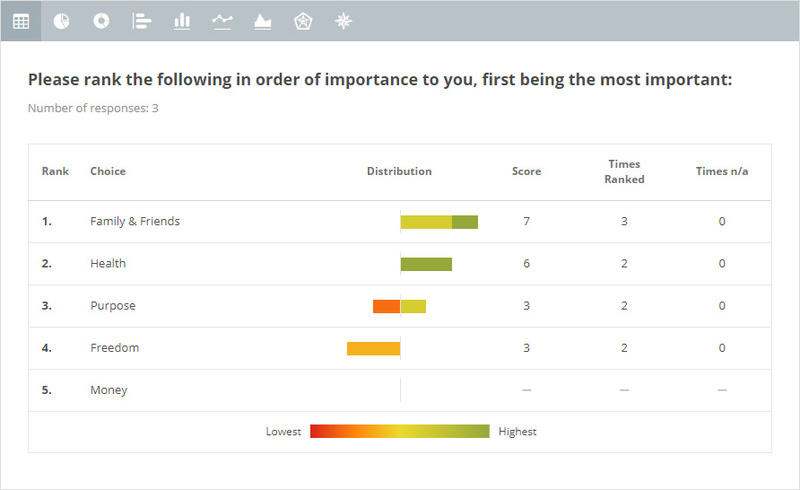 You will be able to see which positions your participants have selected in your survey results both within the tool and in your exports. The Slider question is a classic online survey question and we are happy to now include it in the tool for you! When a participant completes your survey, they are normally shown a “Thank you” page. 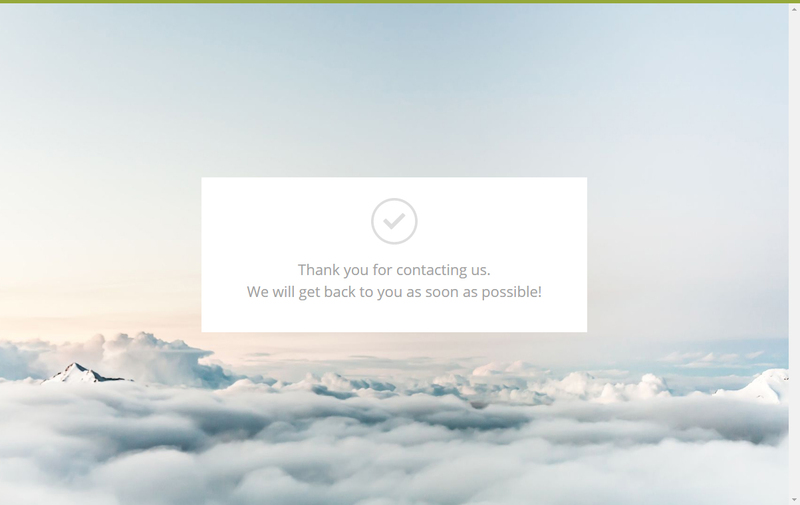 This page acts as a confirmation that they have indeed reached the end of your survey. Up until now, the text that was displayed on this page was fixed. This has been made more flexible as you can now customize the text that is displayed to the participant on survey completion. 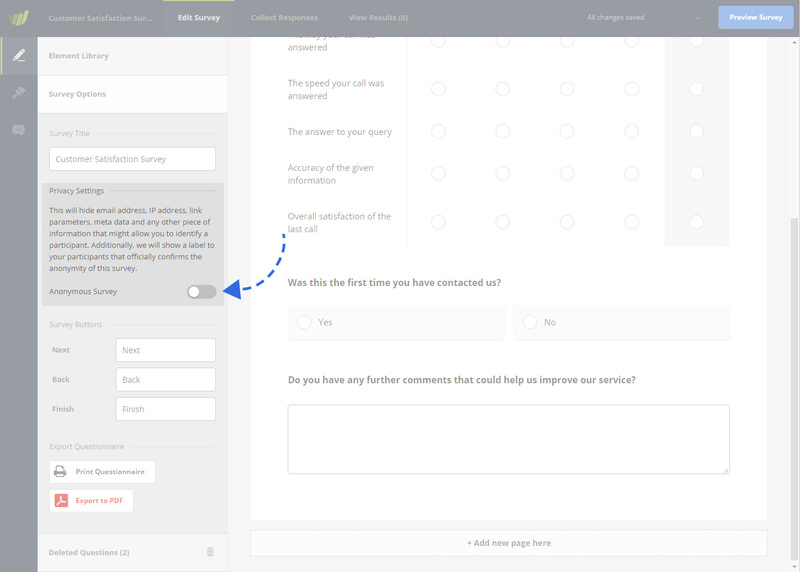 This is a great way to add a personal touch to your survey or if your survey is serving a specific purpose, like a contact form, to confirm the next actions that will follow based on their survey submission. For more information on how to customize the “Thank You” page text, see here: How do I customize the “Thank You” page text of my survey? To collect true and honest feedback, it is often necessary to conduct surveys that are anonymous. Right now, you can do so by not applying any settings that might allow you to identify a response. You can then mention this e.g. in your survey invitation and within your questionnaire. However, how would your participants know your survey is indeed anonymous? There is no way for them to verify that. Doubts regarding anonymity often lead to dishonest responses and skewed data. Today we are happy to announce that we have made some updates to the tool and you can now offer a guarantee of complete anonymity to your participants. This is an option that can easily be enabled for each individual survey. When this is active, we will show a label to your participants that officially confirms the anonymity of the survey. They can click on it for more information onto how we guarantee anonymity. An ideal use case for this is e.g. when you would like to run an employee feedback survey. Informing the participants that their responses will remain anonymous will allow them to put their privacy concerns at ease and answer questions truthfully. 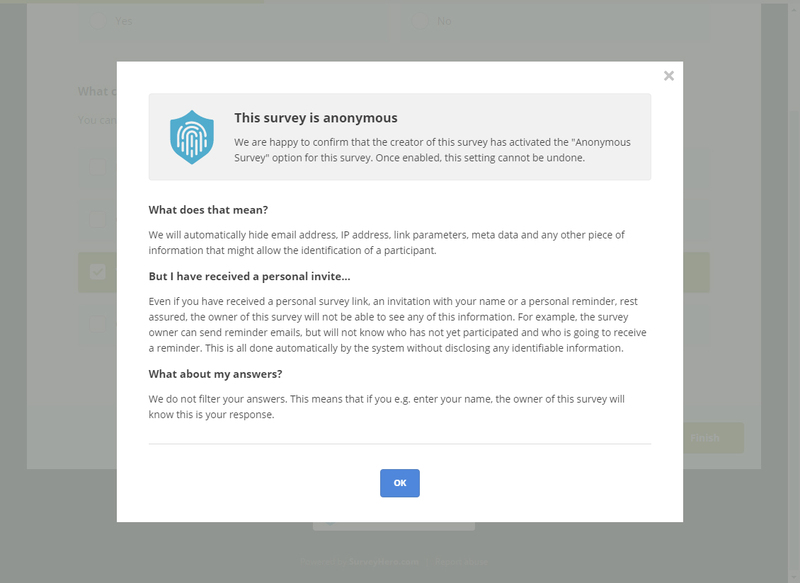 When you activate the option “Anonymous Survey”, we will automatically hide the email address, IP address, link parameters, meta data and any other piece of information that might allow the identification of a participant. You can activate the “Anonymous Survey” option in your survey settings. To add one more level of protection, this setting cannot be deactivated once it has been turned on. We recently introduced the ability for you to receive email notifications immediately after someone participates in your online survey. Today we are happy to announce that we have made these notifications even better. You can now see the answers from the response directly in the notification email we send you. 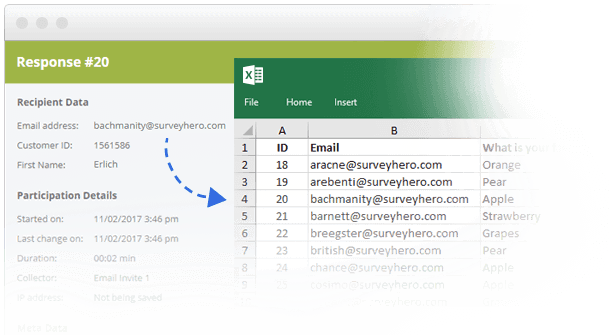 Having all responses right in the email means you do not need to log into SurveyHero to see what the participants have answered. If you do not want the answers to be included in the notification emails, you can simply disable this option within the settings of your collector. This feature is available starting from the Business Plan. You can now append URL parameters (also know as “query string”, “hidden field” or “hidden value”) to your survey link and we will automatically store that information for you in the response. Well, although it may sound technical, it is actually very useful and easy to set up. 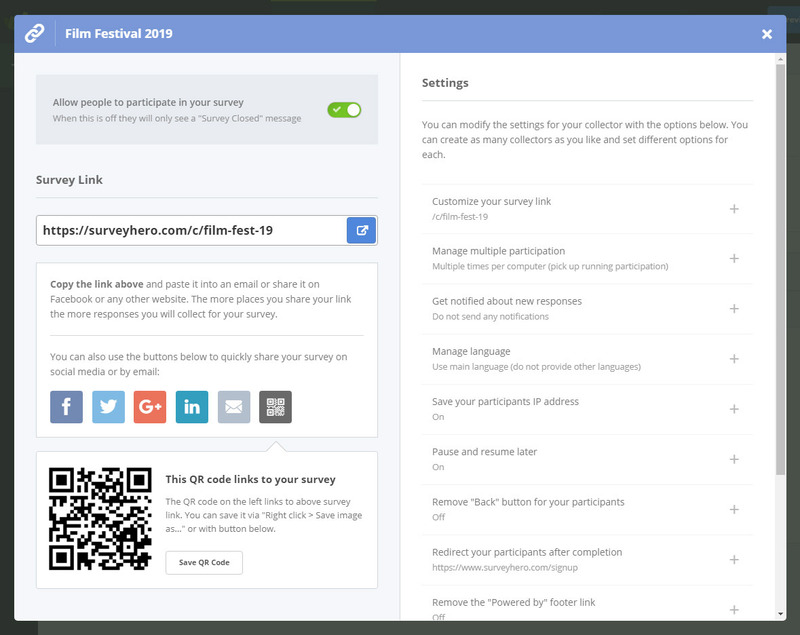 It allows you to send out the same survey link, but customize it for each participant, making it easy for you to connect the response to the participant later. Here is an example use case: You have a survey you would like to share with your customers. Normally you would send the same survey link to all customers and the only way you would know which customers responded would be to ask for their details as a question directly in the survey. Now, using query strings, you can just append each customer’s number onto the survey link, completely removing the need for you to ask. We will then get that information for you, save it along with the response and include it in your exports. You can add as many custom variables as you need, we will save all information that is added to the link. 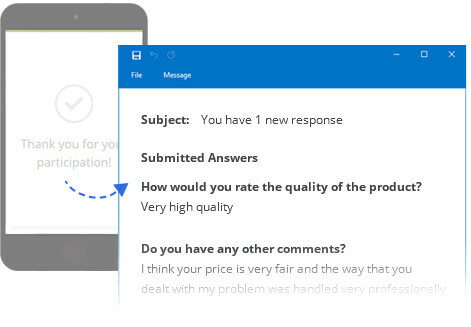 This feature is a great addition to the tool and by removing the need for you to ask for participants details, it will make your surveys look even more professional! PS: If you want all this to be automated, simply use our “Email Invite” collector. It will do all the monkey work for you! You can now limit the number of choices a participant can select in a multiple choice question. You can define both minimum and/or maximum amount of allowed choices. A common example is when you have a question with many choices, but you would only like each participant to select a maximum of 3 answers. Force the participant to select at least 2 choices (with no maximum set). Limit the maximum number of choices selected to be 4 (with no minimum set). Use a combination of min. and max. and force at least 2 but no more than 4 choices. Set both min. and max. to 3 choices. This will force exactly 3 choices. Today we are happy to announce that you can now send email invitations for your survey to participants directly in the tool! 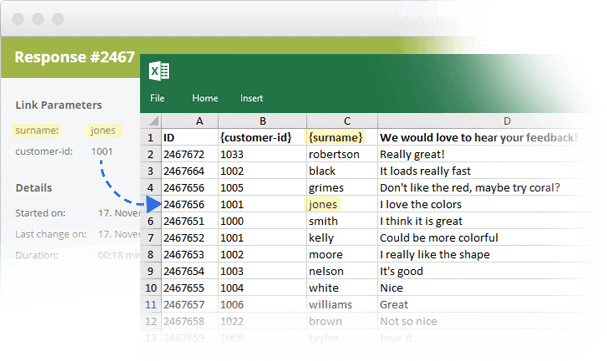 You can add an unlimited number of recipients directly from Excel by simply copying and pasting them, as well as extra columns of data if you choose to, such as First Name, Customer ID, etc. Everything just works! You can write your own message and we will then automatically generate a unique survey link for each recipient. We will keep you up-to-date via email of the sending progress and let you know about any bounced emails or problems. Once your email is sent, you can easily send a reminder to the list again, at the click of a button. The survey links we generate for you will be, by default, one-time use. This guarantees that you will only receive one response per recipient, blocking multiple participation or participations from uninvited people. One of the most important benefits you will gain when using our email invitations, is that each response will be inherently connected to a single recipient. 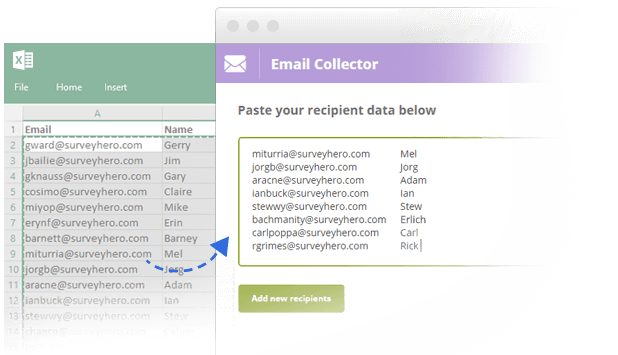 This means you will see the email address and data from the recipients you sent to directly in each individual response as well as in your exports. This removes the need for you to directly ask for a participant’s contact details in your survey. We think this new feature is a fantastic addition to the tool and believe it will be a great new way for you to share your survey. COPYRIGHT © 2015 - 2019 ENUVO GMBH. ALL RIGHTS RESERVED.